The Guy Mendilow Ensemble’s haunting music and radio drama-syle stories evoke the long-ago-and-far-away...holding a mirror for our own here-and-now. Winner of Ukraine’s Got Talent (with 40 million+ views for her semifinal video), Kseniya Simonova has performed in over 40 countries, including royalty and heads of state. In January 2019, Simonova represents Ukraine on America’s Got Talent Champions (expected US day-of-show viewership: 12+million). The 2019-20 tour marks Simonova’s US premiere. What memories would a child carry if her life was so severely disrupted? Looking back, what hinted the coming unraveling? The Forgotten Kingdom — Audio only, with the show performed only by Guy Mendilow Ensemble. Think of it like This American Life meets world-class concert experience. In 2009, Simonova was catapulted into international fame when she won Ukraine’s Got Talent. One of the pieces that she performed in the competition was a sand story about Germany’s destruction of the Ukraine during World War II, as experienced by a young coupleseparated by the war. "An international tour de force” (Bethlehem Morning Call) from the Middle East, South and North America, the Guy Mendilow Ensemble combines evocative music and storytelling in shows exploring pivotal moments of change — not from the vantage of historical hindsight, but via the day-to-day of those living through the shifts, making their choices in the moment, not knowing how the dots will ultimately connect. To gain insight into these moments, the Ensemble draws on traditional tunes, technique, and tales but in elegant arrangements and with radical reframing. Whisking audiences to picturesque times and sweeping landscapes, conjuring voices lost to war and upheaval, GME holds a mirror to our own debates and tensions in shows that “explode with artistry, refinement, and excitement” (Hebrew Union College), stirring deeply moving connections to struggles and dilemmas we tangle with today. 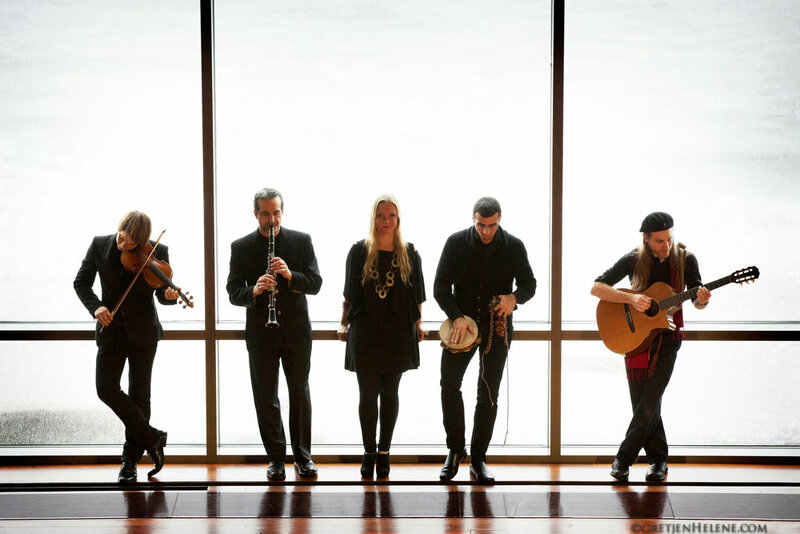 The Guy Mendilow Ensemble tours four shows: The Forgotten Kingdom; The Forgotten Kingdom — Sand Stories (premieres 2019); Heart of the Holidays: Tales of Light; and Around the World in Song interactive family concerts. Distinguished educators, the ensemble specializes in community engagement including tailor-made residencies, choral/string collaborations and a breadth of interactive workshops. The Ensemble is an artist-in-residence with Celebrity Series of Boston's Arts for All since 2014.